I know, I know, setting an intention is very “in” right now and fits right in line with all the holistic, yoga, wellness movement information that is out there. Interestingly enough, as much as “setting an intention” is a bit of a fad right now, it can actually be really beneficial and helpful in making changes. I’ll share a bit about my personal experience with this and how I choose to set an intention through choosing one word to focus on throughout the year. I remember as a teen and young adult I would often set a lengthy list of New Year’s resolutions. I would really think about them, you know, the day of New Year’s Eve and promptly forget them by the end of January. I’m sure there were some great goals and ideas in there as well as some pretty lofty changes I wanted to make in the year! A few years ago, during our annual Christmas trip to whatever part of the country my family decides to meet at (we are quite scattered around! ), my sister asked me what my “word” of the year would be for the next year. I loved this idea and instantly started thinking about it… what one word would encompass all my amazing ideas and goals for the next year? How can I choose just one? I also remember thinking that this was truly something we had stumbled on because it is so much easier to remember one word than a whole list of self-improvement tasks we might come up with. So, I came up with Balance. And the next year, Strength. And next, and most recently, Faith. Each one has very special meaning and truth for me personally. And I can honestly say that these words have guided me in ways I did not anticipate. They have been my bookends or guideposts for the year. When I would struggle, feel lost, confused, I come back to those words as ways to center myself around my goals. Last year in choosing my word and reflecting on the word Strength and how it helped guide me through some very challenging experiences in my life, I realized that I wanted to share this idea with my clients and anyone I could! Choosing one word that represents what you want to cultivate, embody, and focus on for the year is so simple. But, so powerful. The only thing to know if you choose to take this on, is that it is still hard to make changes and keep to your goals. Change and growth will always be difficult and a challenge to take on. A word does not change that, just helps guide and support you if you choose to use it. “Using it” means that you remind yourself of the word and consider all the ways that word could be present in your daily actions and what it embodies to you. And you choose to then lean into the areas that it leads you towards. And again, please make sure to sign up for our newsletter and navigate to www.thrivetherapystudio.com in the New Year to keep in the loop on all the fun things we do and write about! 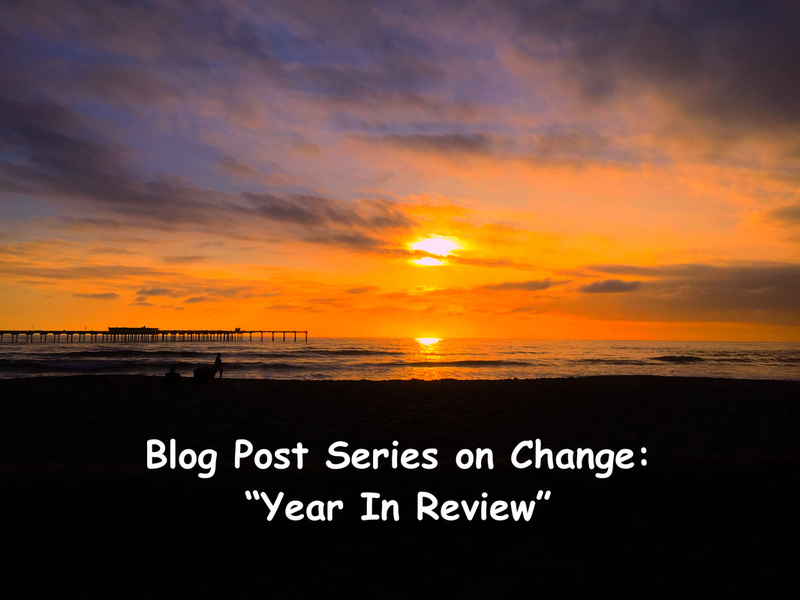 Blog Post Series on Change: "Year In Review"
This is the first blog in my blog series that is dedicated towards growth, change, setting intentions, and renewal. As 2016 draws to a close and I prepare for 2017, I am feeling inspired to discuss ways to make changes in a more effective way. I am also setting a personal goal to get back to blogging more as I realized how much I have missed it over the past year! So, this blog is dedicated to discussing the importance of reviewing your growth and progress over the past year (or whatever time frame feels helpful to you!). I believe that it is so valuable to have markers in time that help signal us to sit back and contemplate how things are going. For some, that may be attending therapy on a routine basis to check in with yourself and for others, changes in the season, anniversaries, or the approaching New Year might signal a time of reflection for you. As a therapist, I contemplate progress and change often! Here are 5 Questions that may guide you in completing your own “Year In Review” as the first step in your overall process of renewal, reflection, and further growth and change. In your life, what are your priorities and how would your rank them in importance? Are your actions consistent with this ranking? When you consider how you are balancing all the different roles in your life, how do you feel you are doing? 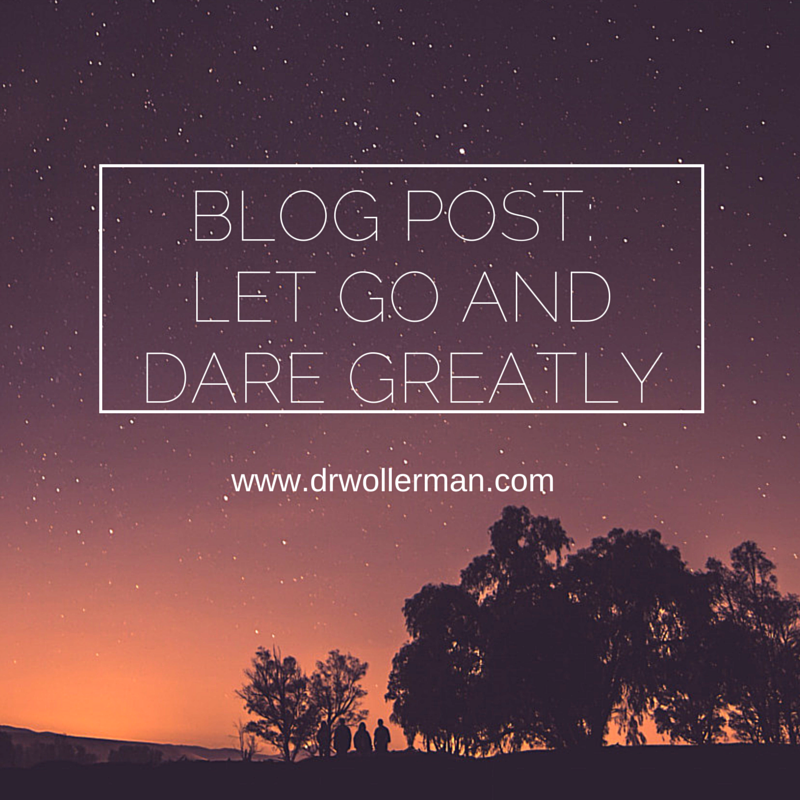 Is there something that you may need to let go of or something to add in? What areas might you be avoiding and consciously or unconsciously not dealing with? This might be a relationship, feelings about a situation or person, or opportunity. Consider why you might be avoiding this area and if it is something to consider handling differently in the New Year. Make sure to set aside some time to sit back and reflect on how your year has gone. Maybe you grab a coffee, go for a walk, sit at a favorite place of tranquility. Maybe you squeeze this into your routine at night when the kids are in bed. Either way, try to take some time to really sit with these questions to help you process your year fully as these questions and your experience of them will guide your intention for the upcoming year. 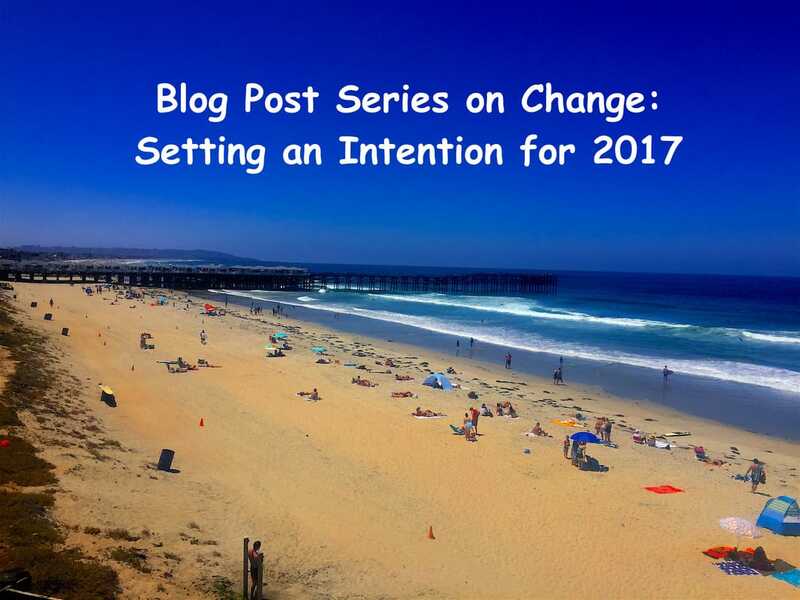 The next blog in this series will be all about intention setting for the New Year! I hope you enjoy it and take the time to read it! Also, I wanted to let all of my readers know that I have super exciting news… Not only am I setting an intention for the New Year but I am also announcing a huge step in my practice in our transition to Thrive Therapy Studio! This will be a collaborative group practice where we will be able to expand our reach and ability to help people. Plus, I got to make a cool logo and develop a whole new vibe to my office. So exciting! Anyways, please feel free to sign up for the newsletter on the website at www.thrivetherapystudio.com when it launches January 1st, 2017! Thank you all for reading and for your support! Please feel free to share your experiences and thoughts on this blog in the comments! Our newest employee, Dr. Maria Fowlks, reflects on the reasons she loves being a therapist in our latest blog post. Being a therapist brings me so much joy. I get to connect with individuals from all walks of life and see the world through their lens. There are many reasons why I love being a therapist. I will share 6 of these reasons below. 1. It is a challenge. Therapy is hard work, not just for the client but for the therapist too. Therapy is like an intricate dance, and it is important for the therapist to know when to move delicately, move boldly, and when to let the client do a solo while you cheer them on. Although the work can be challenging, it is incredibly rewarding. 2. It is an honor and privilege to be apart of someone’s journey. Being given access into a person’s thoughts and feelings as well as seeing a person at their most vulnerable, is truly a privilege. In a fast past society where time seems to fly by, being able to be present and in the moment with another human being is a wonderful gift. It is an honor to be able to just BE with a client, with no agenda, in whatever it is they are going through. 3. I enjoy my role as a guide and a cheerleader. It is a pleasure working alongside my clients, supporting, guiding, and rooting them on as they brave the challenges life can sometimes bring. The reward of being able to witness my clients learn about themselves and grow is invaluable. 4. It is inspiring. I too learn and evolve. My clients are as much my teachers as I am theirs. My approach to therapy is a partnership, and in that partnership there is learning occurring on both sides. My clients never cease to amaze and inspire me with their strength, courage, and resilience. 5. Therapy is dynamic. There is never a dull moment. Each client is so different and brings their own life experiences and challenges and I get to come along on the journey, even if it is for a brief period of time. Being multiracial, I value diversity and multiculturalism, and enjoy the diverse array of clients I see. 6. I am there for the best and the worst. I get to witness the human experience. It’s not always pretty, but it is real. In a society where it is unclear what is real sometimes, I am grateful to be part of the REAL human experience and it is truly an honor. Thank you for reading! For more information about Dr. Fowlks and her services, please contact her at 858.401.6929 or check her profile out here. 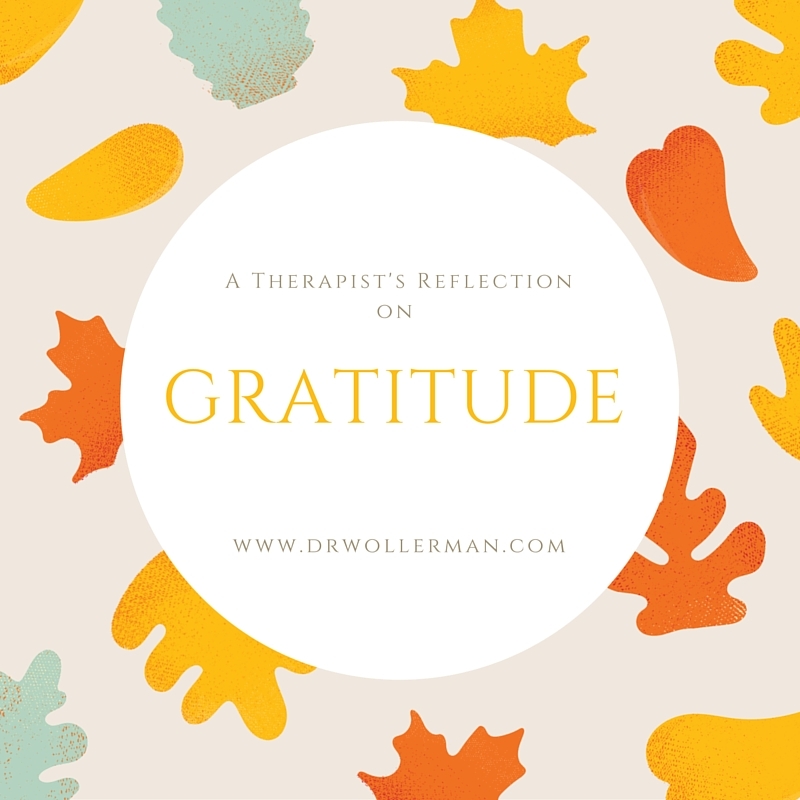 Gratitude is a hot topic this time of year and while I try to practice gratitude all year, I certainly emphasize it during the holidays as well. Practicing gratitude is crucial to building an authentic and vulnerable life with priorities that lead to true value, not just material wealth. There are so many things in life that I am grateful for – my fiancé, my work and private practice, my loving family, living in beautiful San Diego and the list could go on and on! Rather than create some long list of things that I am grateful for, I wanted to write something a little different. One of the main things that I am grateful for is being allowed the privilege to walk with my clients through their struggle and their lives. Every day at work I feel truly blessed to be able to support and help people while they are going through challenges as well as through their successes. I recognize that this is a unique position that I have in people’s lives and the blessings that it brings my clients are amazing but the blessings are very real for me as well. Every day that I go to work, I am reminded of the strength and courage people have as well as their ability to overcome their challenges. A quote that I use often in my practice is “I’m thankful for my struggle, because without it I wouldn’t have stumbled across my strength (Alex Elle).” I have found this to be so very true both personally and professionally. Often, as people, we want to focus on the shiny, happy moments in our lives and forget about the rest. However, I believe that it’s more important to focus on everything and the journey of life, with all of it’s ups and downs. Every day that I work with my clients is a day that I help them focus on the strength and the rebuilding that can come after a fall and for that, I am eternally grateful to them. Through their experiences I have found my own strength, courage, and vulnerability to rebuild my life. There just aren’t enough words to express how valuable that is to me! I am honored to be taking the time to introduce my Psychological Assistant and colleague to all of you through the following blog post. Dr. Rosengren and I have known each other professionally for many years now and recently she began working at my private practice, which has been a wonderful experience for both of us. She is a wonderful psychologist on so many levels and has carefully cultivated her expertise in supporting individuals and their families who struggle with or have been affected by substance use. She is also a gifted therapist with teens and adults who are experiencing anxiety, depression, relationship challenges, and issues with self-worth and shame. I respect her caring, supportive nature and her ability to connect with her clients and have enjoyed witnessing her work as a supervisor! I hope you enjoy her first blog! Here is a list of common misconceptions about substance use treatment from my experience in the field. From my experience, this way of thinking actually hinders treatment progress. Not only is this an oversimplification of what occurs in the brain, but externalizing the problem allows for feelings of helplessness. For example, if a problem is due to deficits in one’s brain chemistry, then theoretically there is little someone can do to remedy the issue besides take a pill to increase serotonin levels. The idea of a “quick fix” is alluring for many reasons, but sadly it does not exist. Everything in our life alters our brain chemistry to some extent, including all forms of psychotherapy. While biological factors are undeniable, our environment shapes us just as much. This is good news because it means that we can learn how to change thinking and behavioral patterns, alter attachment styles, and learn how to cope more adaptively. In doing so, one gains self-confidence and a sense of mastery over their life. Thus, medication combined with psychotherapy is usually the most effective route to take. If you would like to talk further with Dr. Rosengren or to hear more about her services, fees, and specializations, please feel free to contact her! See the news section of my website for more information here! 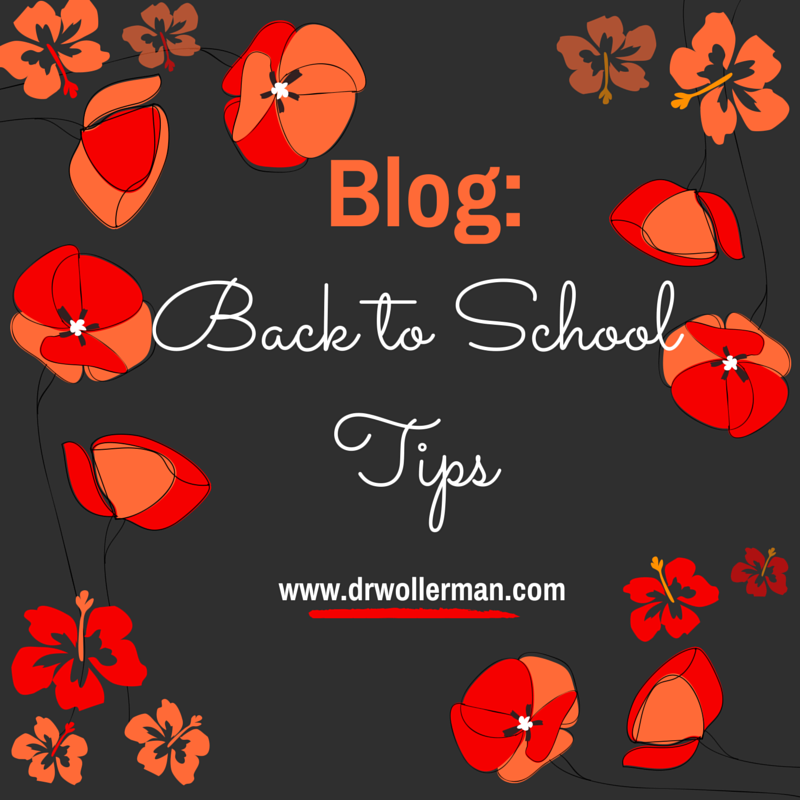 One question that I get a lot, particularly this time of year, which is known to families as “back to school” time, is “How do I prepare my kids to go back to school?” I thought it might be helpful to compile some tips for just those questions! Talk to your kids about the back to school experience: One of the best places to start this conversation is around how we present the return to school to kids. This gives them the “lens” or the “frame” from which to view the experience so it is crucial that you try to set a tone of positivity. A great way to frame the new year is as a fun new adventure where they will experience exciting things! The beginning of the school year can feel very exciting and positive when children are taught to view it like they would New Year’s Eve/Day. *Important side note, please do not talk to your child about the coming school year as something YOU are looking forward to in order to get away from him/her! (Even if you feel that way, which is understandable, just don’t say it out loud to your child!) That only creates insecurity in your connection with your child and makes school seem like the bad guy. Set some goals or fun ideas about the year: Help your kids identify goals and what they might be looking forward to for the year. Start a conversation about new beginnings and how they are an opportunity to review how things are going and what they might want to work on. Make sure to incorporate what they are excited about or looking forward to about the year! Difficult years: If your child had a challenging year the previous year, have a talk with him/her about how to be more successful in the coming year. What did they learn over the past year that they can implement this year? Help them come up with strategies to deal with possible challenges so that they can go into the year well prepared. This will also help them manage some of their nerves about the coming year and hopefully prevent them from shutting down or giving up on the year before it even starts. It’s important your child knows you are on their side at the beginning and throughout the year. Feelings matter too! Try to open a dialogue regarding how your child is feeling about the year. It makes sense to start the conversation by sharing that people often may have mixed feelings about the year (nervous, excited, unsure, sad that summer is over, happy to see friends and start learning again) and that all feelings are okay. Validate how they are feeling about the return to the school year, particularly if they are feeling nervous and/or uncomfortable about the unknown. It’s important to share with your kiddos that these feelings are natural and find out if there are ways you can help them through it. Sometimes, particularly for more anxious kids, it helps to take a tour of the school or walk through a school day (literally or just imagining it) to prepare them for what to expect. Sleep and scheduling: Summer days/nights are so fun that often our sleep and schedules get completely messed up. This can be challenging for kids to return to school, with the typically very early rising and earlier bedtimes. It helps if you can begin preparing your child to go to bed earlier and wake up earlier a few weeks before, especially if your child struggles in these types of schedule adjustments and transitions. A good rule of thumb is to try to help your child to adjust to schedule differences a half hour at a time over a few days. So, just bump up their bedtime and the time you/they wake up about a half hour every few days to help them be their best selves the first day of school. Structure Helps! I firmly believe in setting structure at the beginning of the school year so that your child knows what the expectations are up front. This might be a new chore chart, schedule or after school rhythm, organization system in the home for homework and after school activities, or a privilege/points system for an older child. Either way, it helps set everyone up for success if you set those expectations up ahead of time! I hope these tips are useful and helpful for you and your family! If at any point, you would like some help preparing your child for the transition back to school or in making a difficult transition more successful after the year has started, feel free to contact me to schedule an appointment! Thank you for reading! Feel free to add in any tips of your own in the comments section! 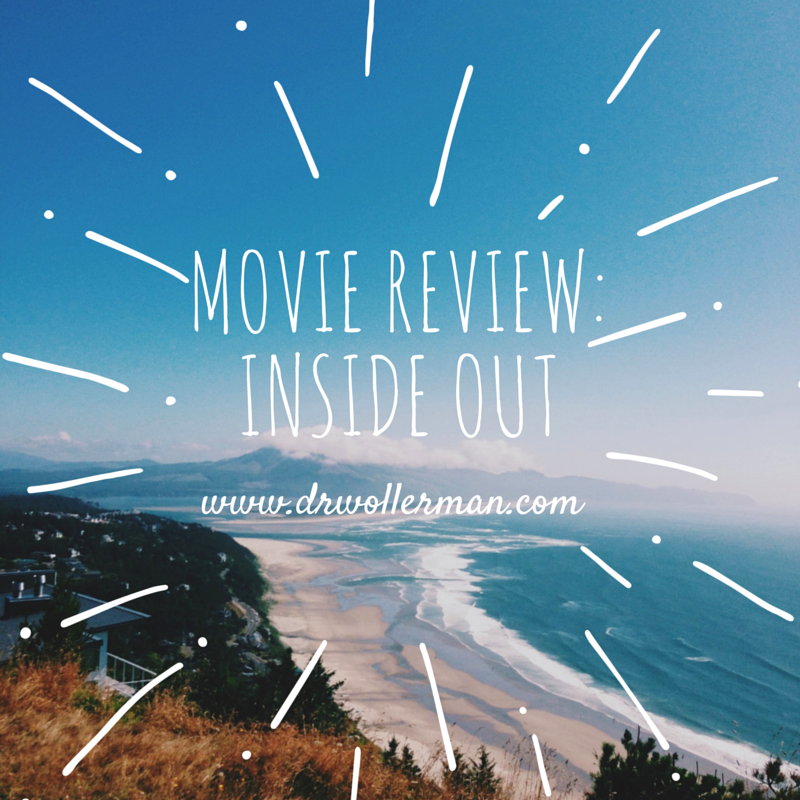 Movie Review: Inside Out - A Child Therapist's Dream! I recently went with a group of therapist friends to see the movie, Inside Out, which is, as many other child therapists have already noted, a child therapist’s dream movie. This is for a few reasons but primarily because it is based on the emotions or “voices” in our heads and the movie did a pretty wonderful job of demonstrating what each emotion is all about and what it looks like without the other emotions combined with it. Fear seemed to represent anxiety and sadness was certainly a great representation of depression. Anger was quite over the top anger that I often see with some of the kids I work with who have difficulties managing their big angry feelings. The coolest thing about this movie is that it takes emotions and makes them an interesting and okay thing for kids to talk about, which can be unusual in our current culture that focuses a lot on happiness and avoidance of most other emotions. Some of the kids that have come into my office since seeing the movie have been more open to share about their feelings, using the movie as their platform for the conversation. As I stated before, this is a child therapist’s dream! Another element of the movie that I really appreciated is that you get to watch an evolution of the characters, where they grow to understand that each emotion is important and that their person, Riley, will cope and live her best life if they are all working together, rather than just focusing only on Joy (which was how the movie began). I fundamentally believe that all of our emotions are important and useful tools in our lives and that issues arise when they get out of balance and we rely on one emotion and neglect the others. As such, this message was something I really appreciated. Which emotion do you think was most important? How do you think things work when a person only feels one feeling at a time? Was there anything about the movie that reminded you of the way you feel? What emotion do you think is “in charge” of you a lot of the time (or it could be more than one)? I can’t say enough how impressed I was with the movie and how easy it was to relate to it without having an over the top, educational or therapist vibe! I would highly recommend that any parent who is interested in talking to their child more about their emotions go see the movie with their child and then discuss it afterwards. Going to therapy can be hard. Really hard. So hard that you might not want to do it. However, going to therapy is also amazingly rewarding and a wonderful step towards personal growth and changing your life. 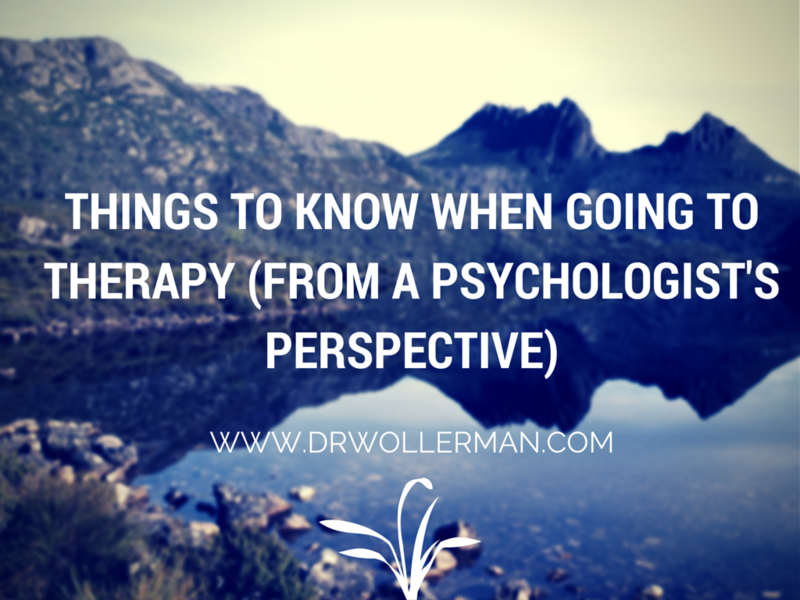 The following is a list of things that I wish people knew before going to therapy (or that my clients knew while coming to therapy as these tend to be hot topics in my office!). Where you go with therapy is up to you… sure I have lots and lots of ideas about what might be helpful and I will be a guide in the process. However, the goals are yours to create as it is your life we are working on – not my perception of how your life “should” be. This goes back to the judgment part also, your life is yours to evaluate, not mine. While I can help you understand the effects of your choices, I respect your right to choose whatever path you choose. I am not going to “fix” you, your life, your marriage, or your child/teen. I’m sorry to let you down but I do not fix things in some magical way, I help you see what you can do to improve your life and support you while you make those daily hard choices to take action and make changes. The amazing part of this means that your success is yours, not mine. I genuinely care deeply for my clients. I always tell people that I am a terrible liar and it’s true, I turn red and get really nervous and awkward when I lie. Nothing about our therapy relationship is untrue, it is definitely based on caring for the people with whom I work. While there are also boundaries in this relationship that you will not find in others, that does not mean that I do not care or value our relationship. You are not broken, weak, or flawed for asking for help. Please repeat that over and over to yourself if that is difficult for you to accept. I fundamentally believe that there is nothing more terrifying or powerful than presenting your full truth and vulnerable emotions to another person and sitting in that relationship with them. We are so often told that asking for help is a problem, a weakness, or a flaw that it can be very difficult to ask for what you need. To me, the very opposite is true. I believe that my clients are brave, strong, and fiercely resilient in their lives and I am honored to be able to know them and walk with them through their process. I hope this list is helpful in orienting my clients and other people to therapy and what therapy is all about. If you would like to speak with me about how my services might be helpful to you, please feel free to contact me! The teenage (and often pre-teen) years are known to be a challenging time for everyone (parents, other siblings, teachers, and the teen themselves). I know I remember how challenging my teenage years were! Teens are generally known to be a walking contradiction and this can be so difficult to know how to approach. They want your attention and time but then they want you to disappear at other times. They want your advice, then they are angry that you gave it. At times, nothing you do will seem right to them! One of the most important conversations I have with parents in my office is discussing the fact that all of the above is generally typical for teen development. In essence, teenage years are a period of growth and development as an individual outside of the family. Teens are most often craving independence and autonomy, much like the toddler or “terrible 2” years. It is vital to your child’s development that they are permitted to stretch their wings a bit, within reason, so that they are able to develop a sense of self-efficacy around their ability to effectively interact with the world. Will they make mistakes? Most likely they will. However, my view is that life is not about avoiding mistakes but making lots of mistakes and hopefully learning from each one. Plus, it’s important for a person to cope through their mistakes and to make some mistakes while the stakes are a bit smaller (prior to adulthood). Respect your teen’s need for independence and autonomy: The last thing you want to do is make a teen feel suffocated as that leads to increased rebellion and “push back.” For many parents, it is challenging to have your child suddenly stop wanting to be around you, close off, or be so moody. It’s important to recognize the teen years as an important step towards your teen becoming a self-sufficient adult and that it is important for them to go through the process of individuating from the family. The better you can tolerate this distance, the more likely it is that your teen will come to you and talk on their own time. Remember, it has to be their idea, not yours! Trust and faith: It’s so important for parents to learn to trust their teen and to provide him/her with opportunities to show trustworthiness. Rather than parenting from a position of fear and anxiety about how the teen years could catastrophically impact your child’s future, parent from a position of faith. Faith in the process of growing up and becoming an adult and faith that your child has the skills to do so, partially because you have laid a strong foundation for them by parenting in a way that supports their development. Have an open door policy: As a parent of a teenager, you have the unique opportunity to support your child through some very important phases of development. The best way to create this environment though is by keeping open communication and encouraging your child to talk with you, even if what they are saying is hard to hear. It is key to try and remain non-judgmental and non-reactive (for the most part) so that they continue sharing information with you. Try to let go of some control: The more you can help your teen gain independence and autonomy through making their own choices, the better. It’s hard to take a step back as it might feel like you are parenting “less,” however, letting your child make a lot of their own decisions gives them so much more of an opportunity for mistakes and learning through those mistakes. This is an important part of the teen years and as long as the consequences are not too dire and your teen’s actions are not too risky, I think it is important to allow them to fail sometimes so that they can learn what it really takes to succeed. Maintain Expectations: While it is important to keep a relationship with your teen, it is equally important to keep boundaries and expectations for them. Never sacrifice expectations in order to have a relationship with your child as this teaches your child that expectations are negotiable, which they are not. If your child is struggling to meet expectations, it could help to involve them in a discussion about the expectations while providing choices. Choices help the teen take responsibility for their decisions rather than project their anger onto their parents. Just remember, boundaries and rules are just as important to a teen as they are to a younger child, they just need to be age appropriate! Keep things in perspective: The teen years can be so challenging for many teens and parents. Just try and keep it in perspective that these challenges are not necessarily indicative of how things will “ALWAYS” be in your family, it’s a temporary phase and the most important part is to help your child by continuing to create a relationship with them, giving them space and independence to start going out in to the world, supporting them through their decisions, and providing consequences when they make the mistakes that they are likely going to make. All of this is natural and a normal progression of human development! Thank you for reading! 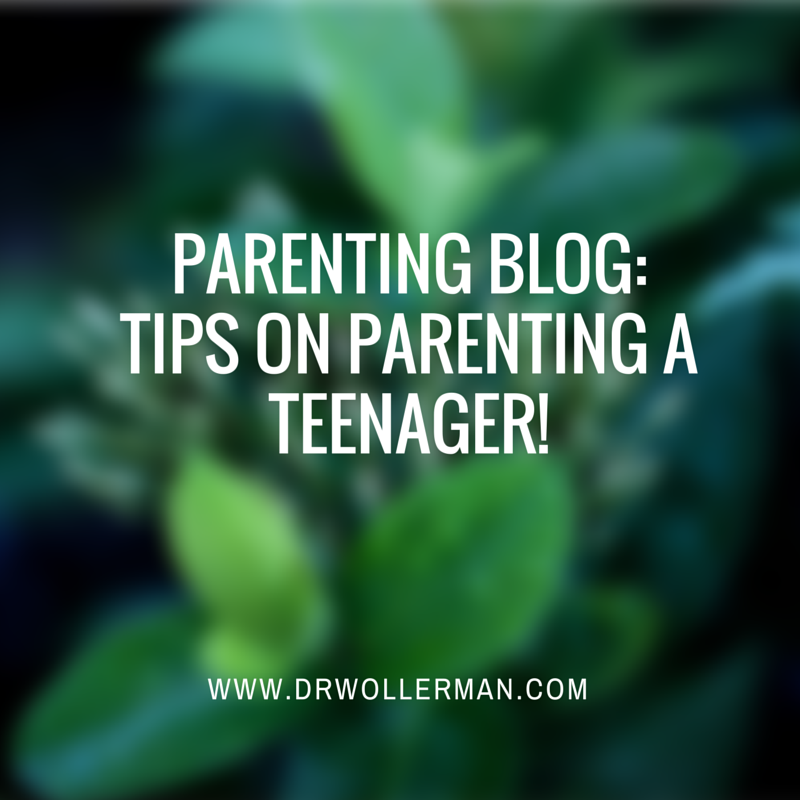 Please feel free to share this information or leave other tips and ideas for parenting teens in the comments! Thanks! I have to say that I absolutely love this quote and the way it talks about how we may fail and fail again while we are on our way to success. What a helpful reminder to those of us (like me) who struggle with making mistakes and with placing ourselves in a daring spot in the arena. I’ve been reflecting this week on many things including how we let go of things that do not serve us, such as our expectations of ourselves. I believe part of that process is letting go of our pasts and expectations of ourselves by moving into greater daring positions in our day to day life. It’s almost impossible to stay rooted in our heads when we are working towards a new challenge and opportunity. I also believe that working on our self-care, self-compassion, unrealistic expectations of ourselves, and the way we think about ourselves and the world are dramatically important in allowing ourselves to surrender and then step into the power of vulnerability through daring greatly. Often, I find my greatest opportunities for growth in my life have come from entering into challenging situations and allowing myself to surrender to them while allowing them to mold me into a different, stronger version of myself. One particular example of how I impaired my own success by my expectations and thoughts about myself comes from an experience I had running (eh, perhaps more jogging or walking at times) several years ago. The truth about me is that I truly have never enjoyed running, even during my high school soccer and tennis days. Running for me has been a chore and something that I did either because I had to for a team or because I thought it was the best way to become more physically fit. Beyond just running though, I have always been someone who struggled with being athletic… not fast enough, can barely throw and catch, clumsy, afraid of heading the ball in soccer. You get the idea. So, pretty early on I think I interpreted all of this to mean that there are just certain things I can’t do – most being physical things of course since that is a big area of challenge for me. With that background, I’ll return to my story about running a few years ago. After I took on the challenge of walking in the breast cancer 3 Day walk in San Diego in 2007, I honestly could not stomach the idea of walking for a while! This led me to dive into training myself to run again. The interesting part of it was that I actually enjoyed the process and pushing myself further each time I ran. After a while, I somehow had gotten into the habit of running for 30 minutes at a time, which for me is quite an accomplishment so I was pretty happy about it. Interestingly though, I found myself habitually stopping at the 30 minute mark and not pushing myself any further. Somewhere in my head I had decided that was all I could do. One day I took a chance and kept going… I believe I ran for about ten more minutes pretty successfully! I still remember having this huge moment of clarity where I thought, “imagine what I could do if I got out of my own way.” A light bulb went off in my head and I realized just how much my thoughts and expectations of myself could limit me. This moment still stands out to me because I think we all chronically believe different things about ourselves that can be so self-fulfilling and self-defeating and we rarely take the time to challenge those thoughts. In the spirit of taking on great challenges and “daring greatly,” I think we all need to take some time to evaluate our thoughts, preconceived notions, and expectations for ourselves to identify where we might be holding ourselves back without even realizing it! Once we see some of those areas, I think it is easier to push ourselves to step into the arena, make some mistakes, but at least be fighting rather than leaving ourselves on the sidelines of our lives. Thank you for reading! Please feel free to share your own experiences and thoughts in the comments section! Hi everyone! I am excited to add a blog section to my site where I will be able to share with you some more information about me, helpful tips, and support. As you know from the rest of my website, I work with children, teens, and adults and as such, the topics will vary pretty widely.